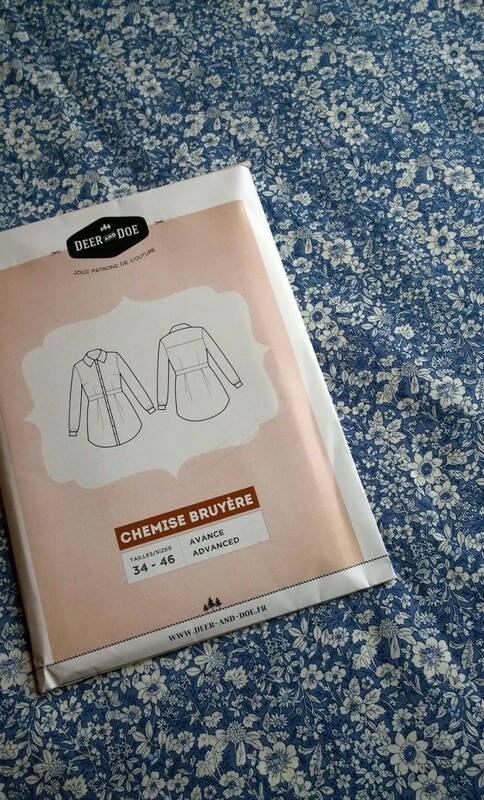 Just as I was drawing up my autumn/winter sewing plans Deer and Doe released the Bruyere shirt pattern. I was really taken with the pictures, loved the longer length and fitted waist and so it was added to my already Deer and Doe heavy list. 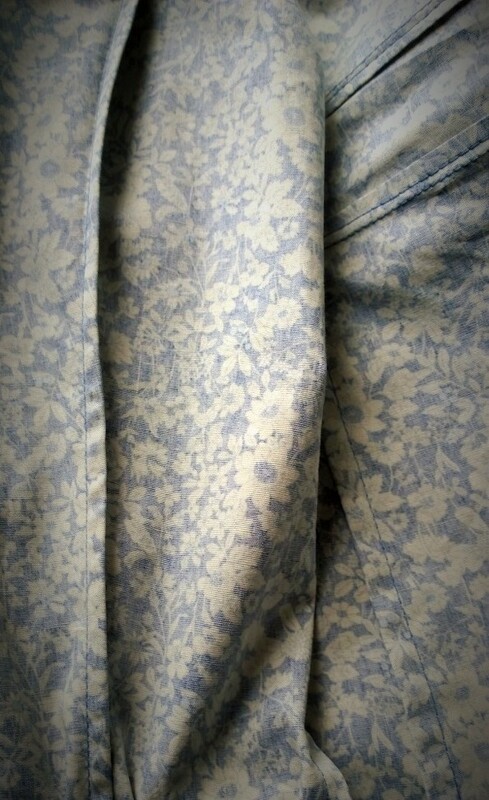 Fabric for the Bruyere was top of my shopping list when I went to the SewBrum meet up (along with the pattern which I managed to get at Gutherie and Ghani) I originally had a Chambray or Swiss Dot in mind but this blue floral cotton poplin was the first thing that jumped out at me at Barry’s fabrics. I bought two and a half metres after a quick google for the fabric requirements, it was only after that I realised I had misread in my excitement and the two and a half was for 60inch wide whereas my fabric was only 45inch (doh), undeterred I figured I could wing it and if it came to it could use a contrasting fabric for the inner workings. I never used to wear shirts very often, I think the main problem with ready to wear was the length, particularly the sleeves which were at least four inches too long. Shirts often ended just a few inches above my knees giving the effect of junior school art classes where we brought in our Dad’s old shirts to wear as overalls. The beauty of sewing your own is having sleeves that fit, being able to wear them under a sweater and not having to roll them up all the time. I knew I would have to shorten the sleeves and also take a fair bit off the ‘skirt’. Somewhere along the way I have got into the (very good) habit of measuring pattern pieces and working out how they compare to my own measurements. I usually have to shorten bodices by at least an inch but after checking the pattern pieces this didn’t seem necessary. I cut a size 42, grading out to a 44 across the bust and then back to a 42 for the waist and hips. I shortened the sleeves by four inches and took four inches off the length of the skirt. The instructions are very succinct but easy to follow, everything is French Seamed to give a really neat finish. The pattern is classed as advanced but I think it is on a par with the Grainline Archer in terms of difficulty and would class it as an intermediate. Unlike the Archer the Bruyere doesn’t have a collar stand which makes things a little easier. I really like the drafting of the Deer and Doe patterns I’ve tried so far; everything fits together perfectly. 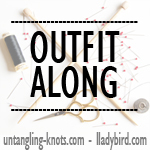 With a lot of other patterns I find things that don’t quite meet up; an extra few millimetres at the waistband or darts and pleats that don’t quite match and need a bit of tweaking. I had put this down to my sewing but maybe this could partially be due to drafting and grading problems. 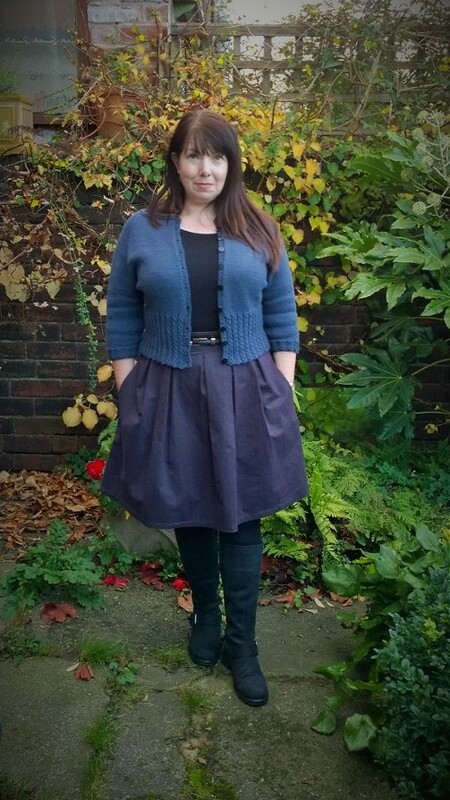 It was only after I had attached the bodice and skirt to the waistband that I realised I hadn’t checked if everything did line up, I was completely amazed to find that both front and back darts and pleats matched perfectly. 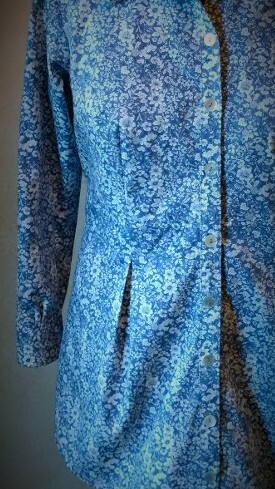 The Bruyere went together so neatly and was a real pleasure to sew. The fit is also spot on, there’s just enough ease to be able to move around comfortably (and accommodate a substantial lunch) I found I was right not to shorten the bodice as the waistband falls just on my natural waist, although if you are taller and have a longer torso it might be as well to check the measurements to see if you need to lengthen it a bit. It is also lovely to have sleeves the right length! I will definitely be making more Bruyere’s in the future. There is an option for a sleeveless version which would be great for summer. 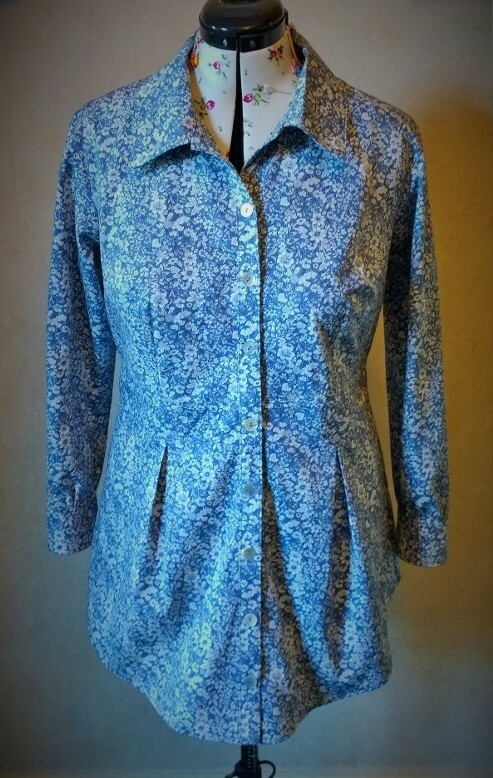 I really want to try lengthening it into a shirtdress though, I think this could work well in a fabric with a bit of drape. As you can probably tell I’m rather smitten with Deer and Doe, I’ve still got the Belladone to sew and have added another four onto my Christmas wishlist. There is the distinct possibility that I may have to add a sub heading to the blog title in which ‘Helen sews Deer and Doe’! To say this was a long time in the making is an understatement, I think it was May when I cast this on and I’ve only just finished it! I used SMC Schachenmayr yarn which I purchased from Laughing Hens, I’ve not knitted with this brand before but decided to give it try as the price was very reasonable. It’s a double knit ‘Extra Soft Merino Alpaca’ (80% Merino 20% Baby Alpaca) the colour is 06002, it’s supposed to be Midnight Blue but I think it’s more of an Airforce Blue (a blue, grey purple!). I used seven 50 gram balls, 930 metres. I knit the large size which is a 42.5 inch bust, the sizing goes from small (34 inch) to 3X (54 inch). 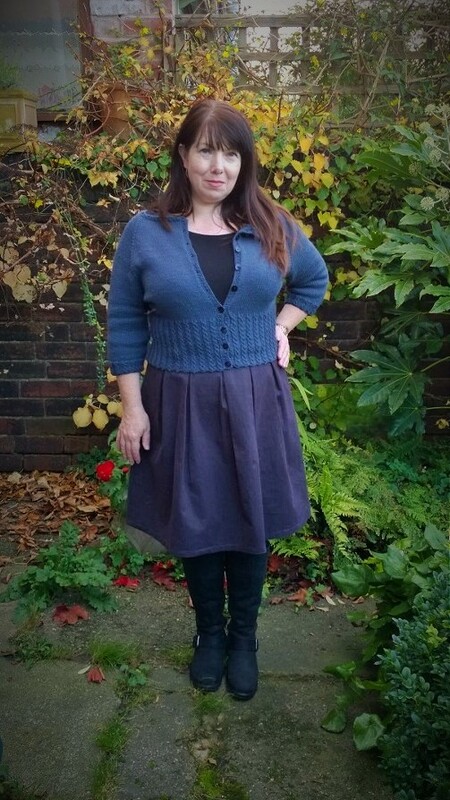 It’s a seamless raglan sleeved cardigan, knitted from the top down on circular needles (I used 4mm). The collar is one set of the four row cable pattern. 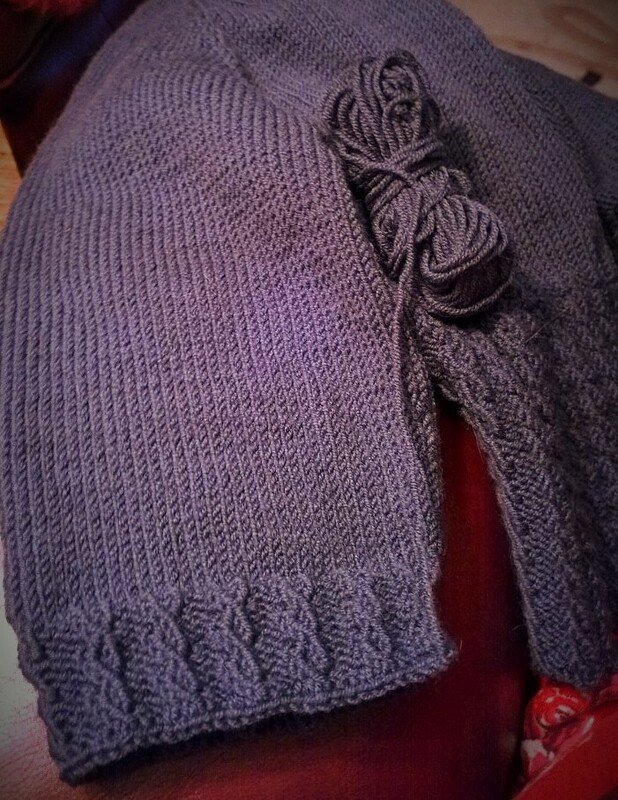 The upper body is stocking stitch with raglan increases and then the sleeves are put on hold while you knit the rest of the body. I think I just got bored while knitting the upper body, there were increasingly long rows of stocking stitch which wasn’t enough to keep me interested. It ended up languishing at the bottom of my knitting bag for quite a while and was destined to be an eternal UFO. I did actually knit my Myrna in the middle and was just about to start something else when the other half nagged me to pick it up again. I reluctantly agreed not to buy any more yarn until it was finished. Once I had taken the sleeves off things improved, there was still a lot of stocking stitch but at least the rows weren’t as long. The pattern has three decreases on a row in the middle of the back which I was a bit puzzled by as they are in a very visible position. I decided to move these to the sides so they weren’t noticeable. 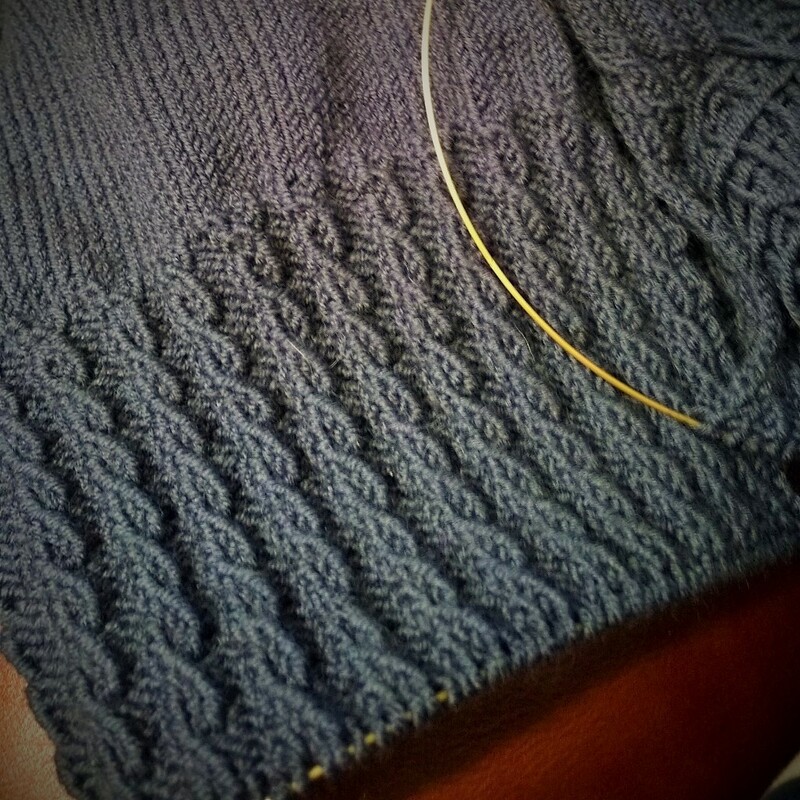 The cable ribbing is a five stitch four row pattern. I was quite excited to get to the cabling as at least things were getting interesting. The pattern repeat was simple to remember and although the cable row was a bit fiddly it was easy enough to do. I think I got about halfway through before my initial excitement seriously started to wane, at that point I just wanted to get it finished. My sense of achievement when I finally finished the body was coupled with an overwhelming feeling of relief! 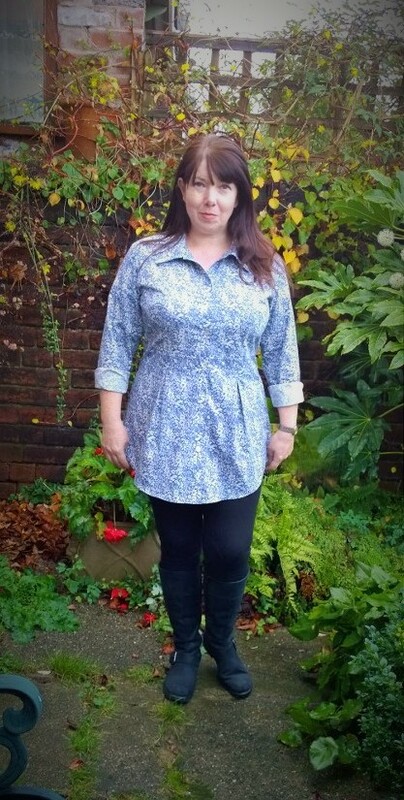 The pattern has short sleeves but as it was getting into Autumn I decided to lengthen them as much as I could. Once I finished the body I had nearly two full 50 gram balls left so planned to just keep knitting until I was nearly out of yarn. 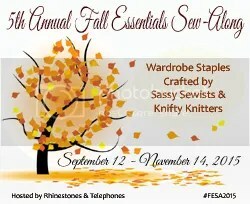 Once the sleeve measured 4 inch from the armpit I started decreasing 2 stitches every 4 rows. The pattern only has one repeat of the cabling for the cuffs but as I was doing longer sleeves I wanted a bit more depth so ended up doing three repeats. The button band is done in moss stitch. It suggests 8 buttons but I increased it to 10. Although it did take me ages to knit I’m glad I finally finished it. My mother in law was getting quite frustrated with me, frequently offering to do it for me but I’m not one to admit defeat. Once she starts knitting she doesn’t stop until she’s finished and can easily whip up a jumper or cardigan in a week. 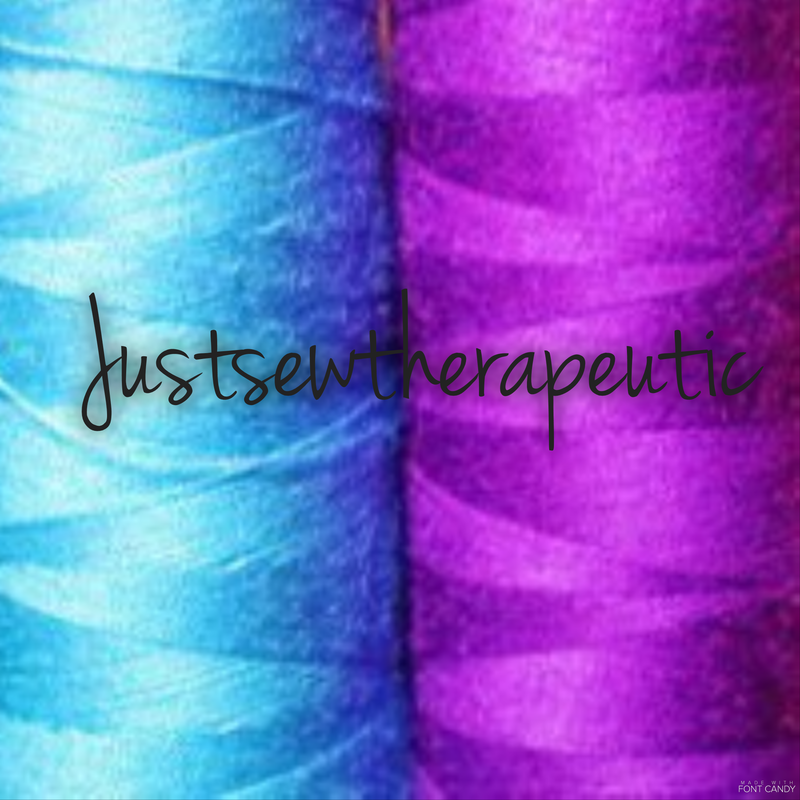 I go at a far more leisurely pace and, as with sewing, have to avoid doing things when I’m tired as my concentration wanes and I’m prone to making mistakes! 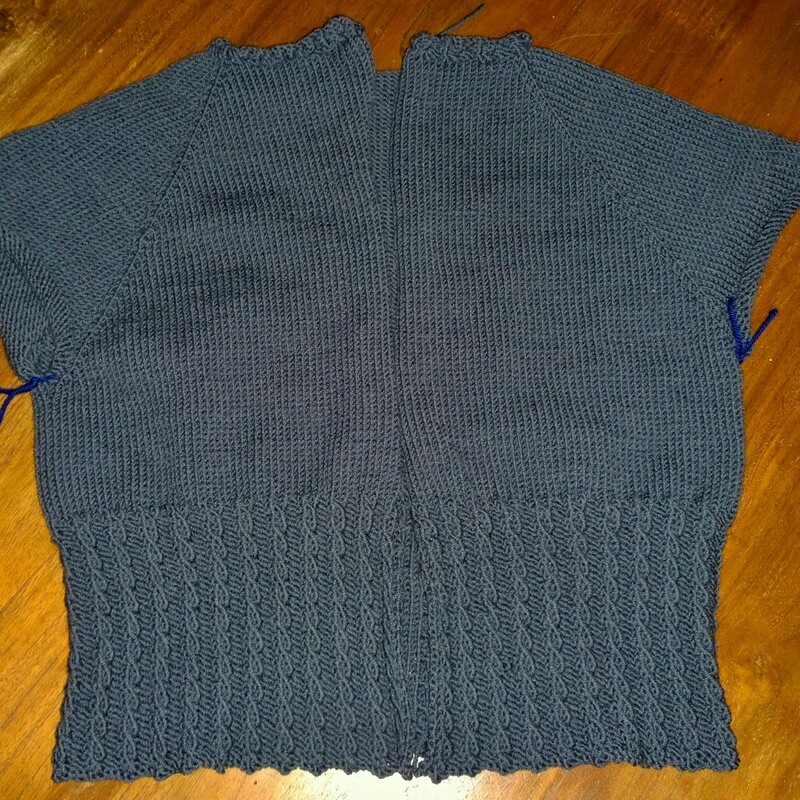 I do really like the finished cardigan, the length is perfect and the cabling gives it a nice fitted shape. The colour is good and will be a useful neutral in my wardrobe. 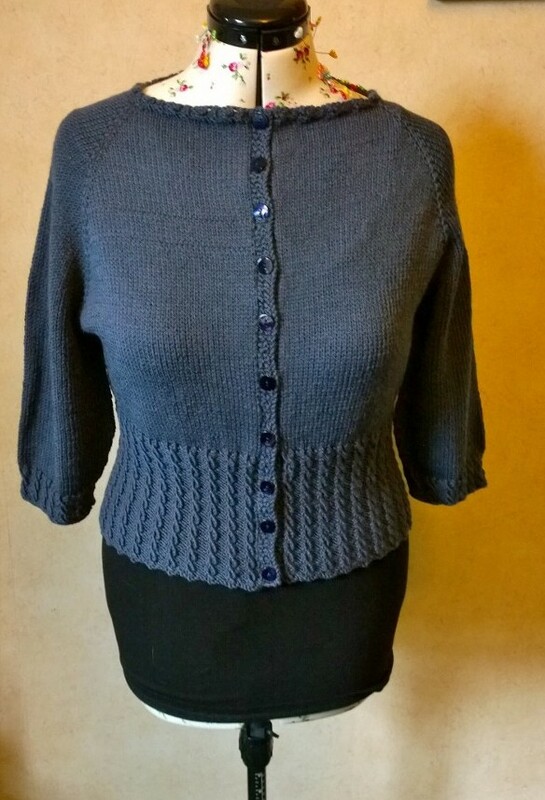 I do recommend this pattern, it’s a lovely little cardigan to knit. I think if I knit it again I will possibly go a size down as it might benefit from a bit more negative ease. I don’t know when I’ll knit it again but I will. I think it’s a bit like childbirth in that you forget all the pain after a while, I’m sure I’ll get to the point when I have worn it so much I’ll want another one in my wardrobe!